Nancy Berlinger is Deputy Director and Research Scholar at The Hastings Center. Her research interests focus on clinical ethics and include: end of life care; ethics in health care chaplaincy; ethics in cancer care; conscientious objection and moral distress in health care; patient safety and the resolution of medical harm; and ethics education for pandemic planners. Broader interests include narrative ethics and medical humanities. Currently, she directs a research project that is revising the influential Hastings Center guidelines on end-of-life care. This project is funded by the Patrick and Catherine Weldon Donaghue Medical Research Foundation and the Albert Sussman Charitable Remainder Annuity Trust. She recently completed a research project, funded by the Arthur Vining Davis Foundations, which examined how professional chaplains define “quality” within their own practice and profession, and how these definitions correspond to how chaplaincy is represented in the health care “QI” movement and in efforts to advance patient-centered care. Berlinger is the author of After Harm: Medical Error and the Ethics of Forgiveness and is currently developing a project on cancer “survivorship” and the future of cancer care. She is a graduate of Smith College and holds a PhD in English Literature from the University of Glasgow and the M.Div. in Christian Ethics from Union Theological Seminary. Bruce Jennings is Director of the Center for Humans and Nature (CHN) and Lecturer at the Yale School of Public Health. The Center for Humans and Nature is a private operating foundation with offices in New York City and Chicago. CHN works on conservation and environmental policy and ethics, public health, and environmental planning issues. He moved to CHN from The Hastings Center where he worked for twenty-five years, serving as Executive Vice President from 1991–1999. Currently his research and writing focus on philosophical, ethical, and policy questions that arise at the intersection of public health, the environmental/ecological sciences, and democratic theory and practice. He has directed several research projects on the care of the dying, health policy, chronic illness and long-term care, and ethical issues in human genetics. He is also active in the area of educational and curriculum development, having co-developed three major curricula: The Decisions Near the End-of-Life Program (Education Development Center, 1989–96); New Choices, New Responsibilities: Ethical Issues in the Life Sciences (The Hastings Center, 1990–1996) and Ethics and Public Health: Model Curriculum (Association of Schools of Public Health, 2003). He has authored many books and articles and is currently working on a book tentatively titled Minding: An Essay on Dementia, Caring, and the Human Good. He is a member of the “Disability and Bioethics” and “Public Health Ethics” study groups of the Interdisciplinary Center for Bioethics. Josephine Johnston is a New Zealand-trained lawyer with a MA in Bioethics and Health Law from the University of Otago. She joined the staff of the Hastings Center in August of 2003 as a Research Scholar. At the Center, Ms. Johnston’s research currently focuses on the controversies over the use of psychotropic drugs and children and the debates over the meaning of neuroimages. She has written about the potential for patents to act as barriers to access essential medicines and biological materials, ethical issues arising in the management of financial conflicts of interest in biomedical research, stem cell research, and assisted reproduction. She is also Director of Research Operations at the Center and manages their visiting scholar and intern programs. Before coming to the Hastings Center, Ms. Johnston worked on ethical and legal issues in gene therapy and stem cell research at Dalhousie University’s department of bioethics in Halifax, Canada. She also spent a year as the research assistant for the NIH grant “Ethnicity, Citizenship, Family: Identity after the Human Genome Project” at the University of Minnesota’s Center for Bioethics. Before undertaking her Master’s work, she practiced law in both New Zealand and Germany. Gregory E. Kaebnick is a Research Scholar at The Hastings Center, as well as the Director of the Editorial Department and editor of the Hastings Center Report and Bioethics Forum. He is interested in the kinds of values that figure in thinking about new biotechnology and particularly in the way people think about nature and human nature. This work has evolved out of earlier work on the nature and status of moral values and the structure of moral deliberation. Dr. Kaebnick is currently leading The Hastings Center research project titled “The Ideal of Nature: Appeals to Nature in Debates about Biotechnology and the Environment.” In “Genetic Ties and the Future of the Family,” he explored the ramifications of genetic paternity testing for the parent-child relationship. In the recently concluded “Crafting Tools for Public Conversation about Behavioral Genetics,” he addressed the implications of behavioral genetics for human freedom. He received his PhD (1998) and MS (1994) in philosophy from the University of Minnesota and his BA in religion from Swarthmore College. Bonnie Kaplan PhD, FACMI, is a Lecturer in Medical Informatics at the Yale School of Medicine, a Yale Interdisciplinary Center for Bioethics Center Scholar, a Faculty Fellow of the Information Society Project at the Yale Law School, and affiliate faculty of the Program for Bioethics at the Yale School of Medicine. She has taught undergraduate through post-doctoral and professional courses in business, medical, nursing, and arts and sciences programs, as well as on-line graduate and certificate courses in biomedical and nursing informatics. Her research and consulting focuses on ways that information technology in health care relates to social, legal, organizational, professional, and personal norms, goals, values, ethics, and identities. In looking at how people react to and interact with information technologies, and why they do so, she faces both the ethics of her own research and the implications of common practices in health care and medical informatics. She has published and given keynote conference talks and colloquia on ethical and social concerns pertaining to: new home care automated systems; assistive interactive robotics; longitudinal electronic health records; health information technology and end of life care; telehealth and telemedicine technologies; privacy; and other legal and ethical issues. She is a Fellow of the American College of Medical Informatics and chaired the International Medical Informatics Association’s Working Group on Organizational and Social Issues for many years. She is past chair of both the Ethical, Legal, and Social Issues Working Group and the People and Organizational Issues Working Group of the American Medical Informatics Association. At the Yale Interdisciplinary Center for Bioethics, she was a founding chair of the Research Working Group on Technology and Ethics and ran its monthly speaker series for five years. Also at Yale, she founded and chairs the Whitney Humanities Center Working Group on Science, Technology, and Utopian Visions. Dr. Kaplan is a recipient of the American Medical Informatics Association President’s Award and a Fellow of the American College of Medical Informatics. She earned her interdisciplinary BA at Cornell University in mathematics and computer science and her MA and PhD from the University of Chicago in history of science. Her doctoral dissertation concerned the development of medical informatics and its relationship with health care policy. Natalie Kofler, PhD is a trained molecular biologist and the founding director of Editing Nature at Yale University, a global initiative to steer responsible development and deployment of environmental genetic technologies. Natalie’s work navigates the technical, ecological, and ethical complexity of gene editing applications designed to impact wild species, such as CRISPR-edited mosquitos to prevent malaria transmission, genetic strategies to eliminate invasive species, or the use of CRISPR gene editing to promote species resiliency to changing climates. She builds deliberative platforms that engage diverse expertise, worldviews, and historically marginalized voices to foster effective public engagement, promote wise innovation, and inform sensible policy. Natalie worked in biomedical research where she actively used genetic technologies like CRISPR before founding Editing Nature to become a leading voice in CRISPR and synthetic biology ethics. She has authored numerous publications on the topic, served on expert panels, and contributes to UN mandated documents. Her work has been highlighted by Pacific Standard Magazine and National Geographic. Natalie served as a visiting scholar at the Hastings Center and collaborates with the Yale Program in Biomedical Ethics. She received her PhD in cellular, molecular, and medical biosciences and MS in human nutrition and metabolic studies from Columbia University and her BS in human anatomy and cell biology from McGill University. Susan Kopp, a veterinarian, is professor emerita of the City University of New York (CUNY). 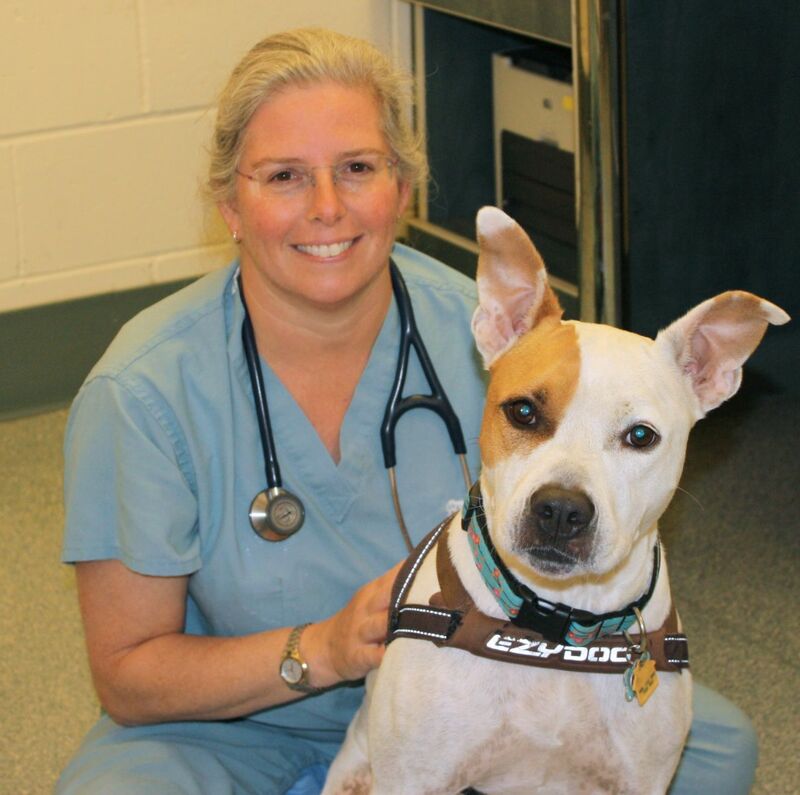 A past director of CUNY’s veterinary technology program, she is a recipient of the New York State Humane Association Award for Exemplary Veterinary Service and has lectured nationally on topics relating to veterinary technician education and ethics. During prior clinical practice, she served as a veterinarian in the New York City animal shelter system, where her work involved related areas of veterinary public health and the human-animal bond. A past chair of the Animal Ethics study group, Dr. Kopp developed and taught the Center’s first interdisciplinary summer seminar in animal and veterinary ethics. She holds a bachelor’s degree in biochemistry from Virginia Tech and a doctor of veterinary medicine from Purdue University, with additional coursework in religious studies. Her research interests regard the interface between religion, animals, and the environment. Dr. Kopp’s interdisciplinary, collaborative work has been published in the Journal of Moral Theology and America magazine. She is a part of the international EcoOne initiative. Julius Landwirth served as Associate Director of the Yale Interdisciplinary Center for Bioethics from 2002-2010. His interest in applied clinical ethics was sparked by his early experience as co-director of a then unique multi-disciplinary clinic for children with multiple congenital malformations at Yale in the mid 1960’s. As Director of the Department of Pediatrics at Bridgeport Hospital in the 1970’s (where he laid the foundation for the current Yale affiliation), he inaugurated a monthly hospital-wide session on medical ethics with Jay Katz. Later on, while serving as Director of Pediatrics at Hartford Hospital and associate chair of the academic department at UConn, he founded, and for 15 years chaired, the hospital ethics committee. Following “retirement” in 1996 he worked in the international arena under contract with the Open Society Institute organizing public health education programs in the 15 countries of the former Soviet Union, taking the opportunity to open up exploration of previously taboo issues in health care ethics. While at the Interdisciplinary Center for Bioethics, his areas of interest have been research ethics and public health ethics. As chair of the Public Health Ethics working group, he forged a collaboration with the Yale Center for Public Health Preparedness and the Connecticut Department of Public Health to assist in the development of guidelines for altered standards of care during public health emergencies. That group has recently embarked on a study of ethical aspects of planning for community resiliency to the effects of climate change on public health. Karen J. Maschke has a PhD in political science from Johns Hopkins University and an MA in bioethics from Case Western Reserve University. Prior to her work in bioethics, she taught political science and criminal justice at Oakland University in Michigan and the University of Georgia. Dr. Maschke has published in a variety of areas, including research ethics, legal and constitutional policy, and criminal justice. She has worked with physicians at Weill Cornell Medical College to develop research ethics capacity in Haiti and taught a research ethics course to graduate students at Quisqueya University in Port-au-Prince. She is a member of The Data Sharing and Intellectual Capital work space (DSIC) of the National Cancer Institute’s cancer Biomedical Informatics Grid (caBIG™), which is developing policies and guidelines for researchers and institutional review boards regarding access controls to cancer research data. She also works on an NIH-funded project that examines the legal, ethical, and social implications of using drug addiction genetic information in criminal justice settings and on a European Commission-funded project that will develop a platform to promote and support international dialogue on privacy and ethics of biometrics and personal detection technologies. Lisa Moses is a practicing veterinarian, the chair of the Animal Ethics Study Group at Yale’s Interdisciplinary Center for Bioethics and a research fellow at Harvard Medical School’s Center for Bioethics. She completed a fellowship in bioethics at the Harvard Medical School Center for Bioethics and received her veterinary degree from the University of Pennsylvania. She also holds a faculty fellow position at Cummings Tufts School of Veterinary Medicine Center for Animals and Public Policy. After completing an internship, residency and board certification in small animal internal medicine, Dr. Moses’ was a senior staff member in the Emergency and Critical Care Medicine Section for over a dozen years before founding the Pain and Palliative Care Service at the MSPCA-Angell Animal Medical Center in Boston, Massachusetts. The Pain and Palliative Care Service is a unique program that assesses and treats complex cases of pain in all companion animal species. The service also provides comprehensive palliative care for animals with long term chronic illness and end-of-life patients. In addition to her clinical practice, Dr. Moses conducts research on moral distress and ethical conflict in veterinary medicine. She established and runs an ethics consultation service and monthly animal ethics discussion group in addition to being a frequent lecturer in veterinary ethics to students, veterinary professionals and animal shelter personnel. She also provides ethics consultation to outside veterinary academic institutions, veterinary hospitals, zoological, and animal welfare organizations regarding issues such as euthanasia decision making, medical errors and use of pets in clinical research. Dr. Moses began her career as an animal welfare officer in a large animal shelter in rural Oregon, which shaped much of her interest in animal use and animal ethics. Her research interests include moral distress and ethical dilemmas in clinical veterinary practice, the ethics of advanced veterinary medicine and end of life care, and the ethics of using animals for human therapy and service. Erik Parens is a Senior Research Scholar at The Hastings Center. He investigates how new technologies shape us and how emerging science shapes our self-understanding. Currently he is the principal investigator on a project, funded by the National Institute of Mental Health, which explores the controversies surrounding the use of psychotropic medications to treat emotional and behavioral disturbances in children. He is also the principal investigator on a project, funded by The Dana Foundation, which investigates the difference between reasonable and unreasonable claims based on neuroimaging technologies (such as fMRI). He has lectured and published widely, and is the first or sole editor of four books: Enhancing Human Traits: Ethical and Social Implications; Prenatal Testing and Disability Rights; Wrestling with Behavioral Genetics: Science, Ethics and Public Conversation; and Surgically Shaping Children: Essays on Technology, Ethics, and the pursuit of Normality. He has served as a consultant to several government and nongovernmental bodies, including the National Bioethics Advisory Commission and the American Association for the Advancement of Science. He is also a visiting professor in the Program in Science, Technology, and Society at Sarah Lawrence College. Dr. Parens was educated at The University of Chicago, where he received his PhD (1988) and MA (1983) from the Committee on Social Thought, and his BA (1979) from the college. Pasquale Patrizio is Professor of Obstetrics and Gynecology at Yale School of Medicine and is the director of both the Yale Fertility Center and the Reproductive Endocrinology clinical practice. Dr. Patrizio received his medical training at the Universita’ Studi Napoli Federico II, MD. He completed his residency in ob/gyn-reproductive endocrinology at the Universita’ Studi Napoli Federico II, MD. He went on to complete his residency in andrology-male reproduction at the Universita’ Studi in Pisa, Italy, and his residency in obstetrics and gynecology at the University of California. His fellowship, also at the University of California, was focused on reproductive endocrinology and infertility. He received a MA in Bioethics at the University of Pennsylvania under the mentorship of Arthur Caplan. His clinical interests include infertility (female and male), IVF, egg donation and gestational surrogacy, and preservation of fertility in cancer patients. Among his many research interests are whole ovary cryopreservation, egg freezing, genetics of oocytes, isolation and freezing of male germ cells and ethical issues in assisted reproduction. Dr. Patrizio is Board Certified in OB/GYN and Reproductive Endocrinology and Infertility and is an active participant in bioethical discussions both within the Yale School of Medicine and the Interdisciplinary Center for Bioethics. Julie Rothstein Rosenbaum is currently Assistant Professor on the faculty of the Primary Care Residency in the Department of Internal Medicine at the Yale School of Medicine, where she sees patients as well as teaches residents and students. She also serves as Director of the Workshop on Professional Responsibility for all medicine interns. She received her undergraduate degree from Brown University and her medical degree from Yale School of Medicine. She completed her residency at New York Hospital-Cornell and returned to Yale as a Robert Wood Johnson Clinical Scholar. Her areas of scholarly focus include end-of-life communication, appropriate relationships between physicians and the pharmaceutical industry, and exploration of factors that hinder and support ethical and professional behavior, including the “hidden curriculum.” She has received grant support from the American Board of Internal Medicine Foundation for a multicenter qualitative study exploring how transitions between different medical microsystems provide insights into varied moral environments. Julie serves on the Waterbury Hospital Ethics Committee. She has also published in several peer-reviewed journals, and presented at regional and national meetings. Her essay on personal-professional balance entitled “Duality,” published in Health Affairs, was selected for inclusion in the first of its kind anthology, Best American Medical Writing 2009. Lois Sadler is an Associate Professor at the Yale School of Nursing and the Yale Child Study Center. She practices as a pediatric nurse practitioner and teaches masters and doctoral nursing students in the areas of family studies, child development, pediatric health promotion, research, and adolescent primary care. Dr. Sadler received her B.S. degree from the University of Massachusetts, her M.S.N. degree from Yale University School of Nursing, and her Ph.D. from the School of Family Studies at the University of Connecticut. Her research is in the area of the transition to parenthood among urban adolescent mothers and their families, adolescent pregnancy prevention, and evaluation of specialized support programs for adolescent parents. Her publications and presentations are in the area of adolescent primary health care issues, high-risk families and adolescent parenthood. Dr. Sadler has worked clinically with teen parents in New Haven since 1979 and currently teaches parent education classes to middle school and high school student-parents enrolled in the Polly T. McCabe Center in New Haven. Her current research includes studies with teen mothers and a pilot study with colleagues at the Yale Child Study Center and the Fair Haven Community Health Center of a home visitation program, “Minding the Baby,” for high risk young families. Wendell Wallach is a lecturer at the Interdisciplinary Center for Bioethics. The question that pervades Mr. Wallach’s work at the Center is: how will we navigate the promise, perils, and bioethical challenges posed by new technologies? While much of the discussion regarding the manner in which technological enhancements will transform human identity and community is highly speculative, we are beset by a host of ethical dilemmas arising from the technologies we already have. New technologies not only afford new possibilities as to what we might become, but also facilitate research into who we are and how each of us functions. His work over the past few years has focused on the manner in which the “Information Age” and cognitive science are transforming our understanding of human decision-making and ethics. A radically new vision of human nature is emerging that challenges traditional beliefs systems and the laws and institutions built around those beliefs. A book that he is currently writing, Cybersoul: Moral Intelligence in the Information Age, explores this subject. He has also been active in developing the new field of inquiry known as Machine Ethics, Machine Morality, or Artificial Morality, which explores the prospects for developing artificial agents capable of making moral decisions. The field looks at both the possibility of implementing morality in software agents and artificial entities, and what we will learn about human ethics and decision-making as we go through this exercise. He is co-author of Machine Morality: From Aristotle to Asimov and Beyond, which will be published by MIT Press. In addition to chairing the Center for Bioethics working research group on “Technology and Ethics,” he also leads a seminar for the Bioethics Center Summer Intern Program, coordinates activities for a study group on religious and spiritual issues in bioethics, and is a member of the Center’s “Neuroethics” study group. He is a recognized leader in the new field of Machine Ethics for which he was first to design a course. He has taught the course twice at Yale.